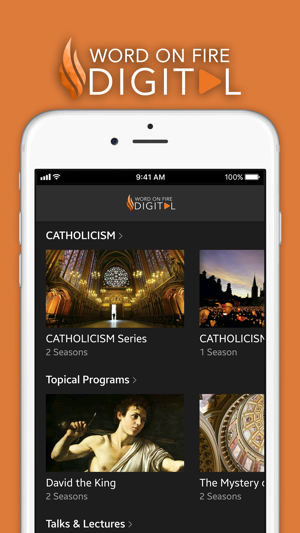 Explore the richness of Catholicism with premium video series from Bishop Robert Barron. Through our dedication to the new media we are offering a new way to view our content with this cutting-edge streaming subscription. You'll be able to watch any of these programs on any device and at any time. 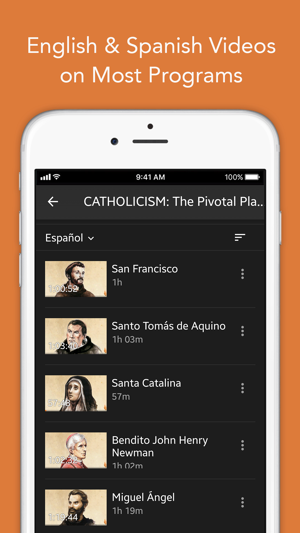 Travel around the world and explore the goodness, truth, and beauty of the Catholic Faith through the CATHOLICISM or Pivotal Players series, which have aired on public television stations and seen countless times all over the world. Or dive deeper with some of the topical programs; learning how to combat the New Atheists in the 'Mystery of God' program, or to explore the books of 1st and 2nd Samuel in 'David the King'. 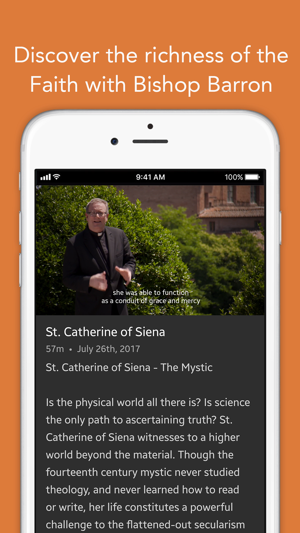 With a Word on Fire Digital subscription, you will instantly have access to ALL of Bishop Barron’s video programs. You’ll also be the first to gain access to new releases as well as other content that will be added throughout the year. If you’ve enjoyed and benefited from Word on Fire programs in the past, you’ll find this app to be a seamless means of accessing the breath of our content. As a convert to Catholicism 3 years ago I have been disappointed in the lack of user friendly new media tools to help convey the beauty of the Catholic faith with all types of people; especially fallen away Catholics. Having the incredibly well done videos from the Word on Fire team all at the touch of a finger is something I thank God for every day. Now with the Word on Fire institute starting up, I am just overwhelmed with joy as I finally get to witness and be a part of a wave of change in the Church that will help to lay the foundation for real spiritual growth and, God willing, sainthood throughout our generation. Thank you Bishop Barron and the Word on Fire team!! Bishop Baron gives incredible insight about the Mass. He tells us things that just never occurred to me and are so very significant and beautiful. His first most significant revelation he gave to me was “the sign of the cross”. Every time we sign ourselves, we “brand” ourselves for Jesus. We belong to Him. What an incredible thought! Of course, we do. He made us! But that never occurred to me. There are so many more things than that. That is just one. The whole series is full of appreciation for God and His immense sacrifice. Absolutely superb! Insightful, historical , based in truth teachings...by far the BEST catholic resource for believers and non believers alike. Whether you are wanting a deeper insight into Theology or just a deeper understanding of the Catholic faith, or just a deeper understanding of Christianity in general- this is the “sweet spot”! Word on fire brings us back to our center - reminding us that there is hope, truth, beauty and goodness left in the world because of Jesus. Thank you Bishop Barron and your wonderful team for the perseverance and determination in bringing back the SON light!